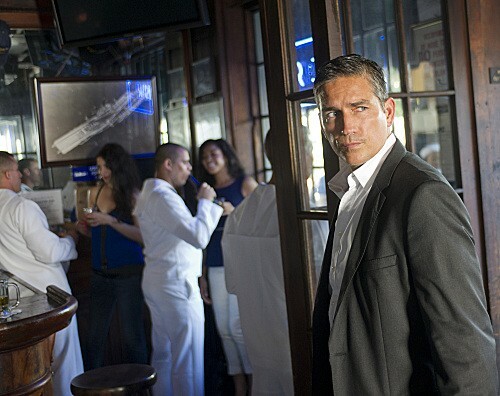 Tonight on CBS their crime thriller PERSON OF INTEREST returns with its third season premiere. On tonight’s show called, “Liberty,” Root tests the boundaries of her new asylum surroundings. If you want to get caught up before tonight’s episode, you can read a full and detailed recap right here. Tonight’s Person of Interest Season 3 premiere is going to be exciting, and you won’t want to miss it. So be sure to tune in for our live coverage of the new episode of Person of Interest — tonight at 9PM EST! While you wait for our recap, hit the comments and let us know how know how excited you are about the premiere of POI tonight. Check out a sneak peek of everything you need to know about season 3 of POI! Don’t forget to come back at 9PM. Reese is back to form. It seems a diplomat’s son was targeted. He was kidnapped while on his date but his kidnappers don’t want an ransom. They want to send his body back to his father. Guess his father was too clean to deal with the cartel. As luck would have it Reese was waiting his kidnappers and managed to free him. The little diplomat’s son wasn’t al that grateful. He made a quick run for it without ever thinking about his rescuer. Wasn’t that nice. It’s a good thing Carter was able to pick him. Otherwise he could have been stuck on the side of the road for a good minute. Reese isn’t the only one out rescuing people. Shaw is also giving her best effort. She does save a scam artist but she basically used her partner as a human shield. Fusco will definitely want to work with her again after this. Finch needs to pair her up with someone else. He recommends Reese, you know the guy she pulled a weapon on, and yet Finch sees no problem with their past. He has other concerns waiting for him. Like a sailor named Jack. Jack is actually a pretty decent guy. He’s in the city for Fleet Week and doesn’t want cause any trouble. Sure he runs into a fight here and there but it was the other guy’s fault. However Jack has a past history with bar fights. He severely injured someone before and the judge told him the military or jail. Could he be in danger because of his temper? Root’s doctor believes she’s now speaking herself. He’s worried and wants to hear why this has started. She had attempted to explain she was being watched. Not all the times but enough. Her doctor thought she was simply afraid of the NSA. The poor man doesn’t know she’s talking about the machine. Reese figured out that Jack’s main problem is RJ. RJ and Jack are shipmates and that means that they have to return to the ship together but RJ has a history of being a trouble maker. That becomes obvious how when Reece sees RJ give Jack Cuban cigars. He supposed got them for helping the admiral. At first it was hard to keep track of the sailor with the whole flooded with them but Carter showed Reese an underground hotspot. It served two purposes. Reece found Jack and Carter was able to blow off some steam. She’s not ready to retire and she doesn’t want to quit. Although none of that means she likes her new demotion. It was a goo thing Reece found Jack when he did. He was able to save him when some elite military men nearly kill him. Only after he brought him back did they realize why people are trying to hurt him. It was RJ’s fault. RJ has smuggled uncut diamonds into the cigar holder. The very same holder that Jack now has on him. Shaw and Reece pair up to help him save RJ. Yet they can only get so far. The men that took RJ are smart. They have strapped to a bomb and are monitoring the room. This isn’t the meeting place just the check-in. They make Jack leave his friend and his allies behind. For the real meeting he has to come alone. Reece warns him he’ll never make it out alive but Jack is prepared to die for his friend. The team has no way of following Jack’s cab. Carter volunteers her contacts for back-up. But the moment she powered down her cell before entering should have sent up a red flag. She went to meet Carl Elias. She got his help but at what cost? Leaving Fusco to defuse the bomb, Reece showed up. He arrives on the scene to find out that the smugglers have run into problems with the diamond cutters. The Russian want more money and the U.S Devil dogs don’t want renegotiate. Reece’s appearance only serves for the bomb detonated. Fortunately Fusco had defused it in time. The ongoing blood bath doesn’t leave a scratch. The Russians made their escape leaving the soldiers to be massacred. Reece got Jack out safely thanks to help from Shaw. Then when the dust had clear Carl’s man comes in to take both the money and the diamonds. Someone at least had a good day. Unlike Carter who’s secretly investigating all those who burned her. Jack on the other hand wants to rethink a military career. His friend fessed up to charges and he was only given a reprimand. Reece is the one to convince him to stay with the Navy. He knows it will give Jack purpose. Root may be dangerous. She thinks the machine chose her and because of that she refuses to accept any more help from her doctor. He had cut off all access to anything electronic. So once they meet after her forced separation, the good doctor finds out that Root has been discussing killing him. Root is both crazy and homicidal. How will that end?